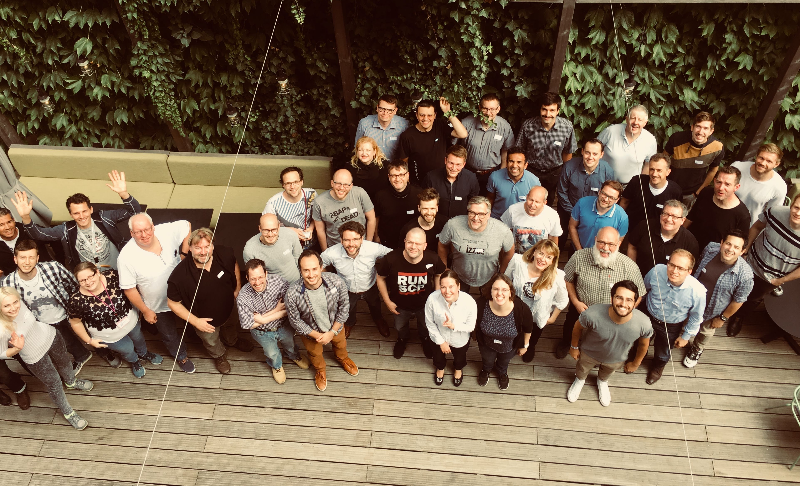 On September 1 the second installation of SAP Inside Track Berlin took place at the SAP DATA SPACE. While it is already a month ago, I thought it would be still valuable to provide you an overview of what happened. We about 60 participants and 8 sessions (9 including the lightning talk by Witalij Rudnicki) on a various list of topics covering security research, Design Thinking, DevOps in ABAP, Native Cloud with Kubernetes and others. The full list of session and many more information about the event is available on SCN Wiki. After last years event we did a short retrospective to review what went well and where we could improve. It helped us a lot to not repeat mistakes from last year, and further improve the overall experience for the attendees. One key learning was that last year sessions where often too long, and the breaks in between too short, leaving not enough room for networking. Therefore we cut the session length to 30 mins max (with exceptions) and had 30 mins networking breaks in between. Last year we also did a live stream of the sessions, and I have to admit that it was a very last minute idea from my side and not well executed. For this year I looked early into how to improve the setup. I think the overall result was pretty okay. We streamed live close to 8 hours of the event, worked on the presentation layout (picture in picture), and all sessions are of course again available on YouTube. Please excuse the minor sounds issue, but we have it on the improvement list for next year. I can only invite everybody to watch the sessions. To tease you what to expect here is one of my favorite sessions: Handling security bugs with responsible disclosure and bug bounty programs by Tim Philipp Schäfers & Sebastian Neef. Thanks to everybody who participated, and especially to Bruno Patias Volpi, Grit, Johannes and Thomas Saueressig to make it possible. We had a blast! 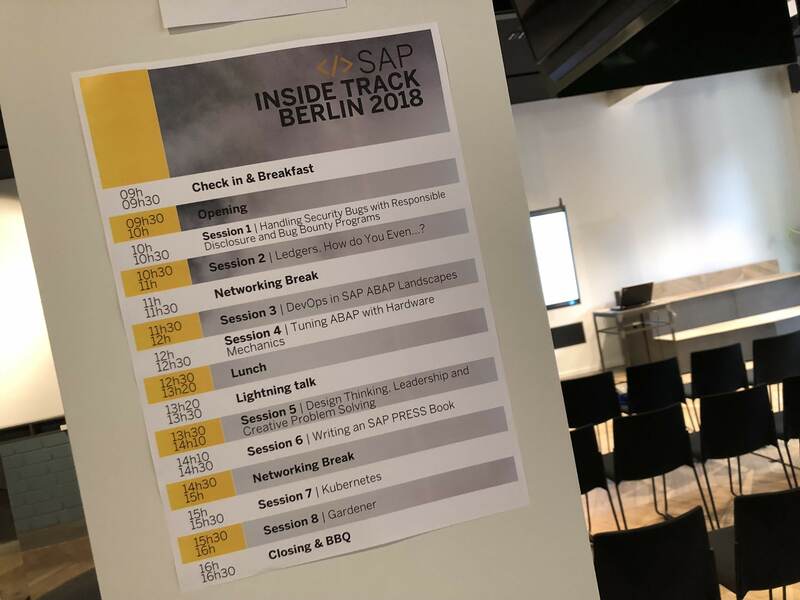 Follow us on Twitter or join our Slack to stay up to date with SAP Inside Track Berlin. Hope to see you next year. We will be back on August 31 in 2019.
from the remote viewer perspective, one of the best SITs this year and youtubes look great as well. i will come back to some of those that i have missed due to time difference. Thanks Greg, appreciate the feedback. Comments like this makes it worth all the effort we put into the video setup! Such a big undertaking! Not just the logistics, the invites to speak, making sure everything went smoothly… Wow! Then to add the videos. For me personally, a huge value add. I wonder if you titled the blog differently more people would visit the videos. Maybe not. I bet you use twitter. 🙂 I don’t get out there enough. And this title certainly made me interested. Great job – congratulations to all! A bit more click-bait on the blog post title? I’ll add that to the feedback queue 😉 Thanks Michelle!